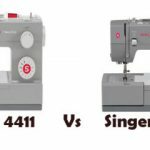 The manufacturer of the Singer 2259 Tradition machine declares that your new sewing hobby will become addictive whenever you invest in it. Not only will you love sewing, but you will also learn incredible tricks which will transform you from a novice to an expert within no time. The machine makes the making of buttonholes fun and the selection of a stitch or making an alteration quite easy. This machine makes sewing so much easy for a newbie because of the numerous easy to follow instructions included. 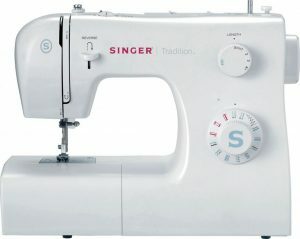 Anything that you have ever thought complicated in sewing is made extremely easy with this machine. The Singer’s heavy duty metal frame comes with obvious benefits one of them being durability. The strong frame ensures that there is no skip-sewing experienced and it also ensures that the alignment of the machine is sure hence making the stitches consistent throughout. 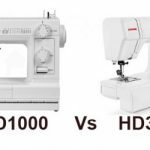 With an easy stitch selection, picking the right stitch is a hard thing for a beginner, especially if the machine they are using is cumbersome. With the Singer 2259 Tradition, picking a stitch is made to be easy and fun, all at the turn of a dial. And the helpful manual you get with the Singer 2259, is great for pointing the beginner in the right direction for helping find the right stitch for your fabric or garment. Now the 2259 comes with 19 built-in stitches, this wide range of basic stitches ensures that you’ve got the all necessary you could possibly need as far as making immaculate garments. 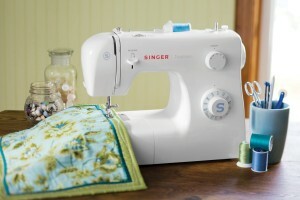 With a variety of options for fashion sewing, crafts, home décor, and decorative sewing. Multiple needle positions – A sewer needs to have a machine that will enable them to sew everything they can think of. 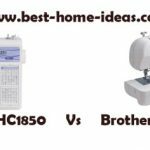 This is one of the best sewing machines for beginners simply because you can adjust the needle positions. When you need to stitch in a zipper or make a hemming stitch on a hardy material, changing the position is pretty easy. With 4 snap-on presser feet; an all-purpose foot, buttonhole foot, button sewing foot and zipper foot. The presser is made easy and comfortable as well as convenient when the changing the of feet. No need for any unnecessary use of a screwdriver with the snap-on foot feature. 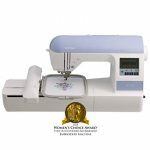 Now the Singer 2259 has a four-segment feed dog system, instead of having to push the fabric in order to feed it to the needle, you have this feature which makes sewing easy and convenient. This feeder holds the fabric and feeds to the rear of the machine, hence making it unnecessary to push the fabric. 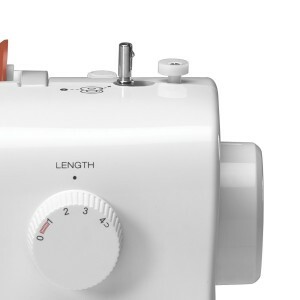 This improves speed and accuracy of your sewing. 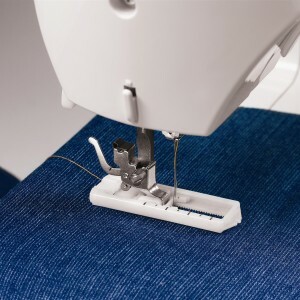 With a free arm with built-in on-board storage, not only are the tricky parts of a garment making, like cuffs, collar and sleeves easier to sew. 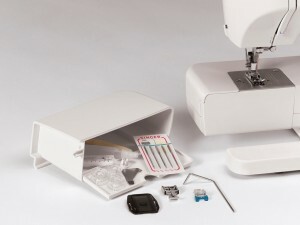 But with the built-in accessible storage, all those necessary accessories for making your sewing projects are made easily accessible this way. Portability is one of the features that have proven to be critical in as far as beginner machines are concerned is portability. Well, this is easily portable and you can move it around the room or even transport it using the car or by hand. Now the Singer 2259 comes with a 25-year warranty, with a limited 25-year warranty on the head, 2 years for the electronic parts and a limited 3 months adjustments warranty. What’s not so good about the Singer 2259? Despite this entry machine being one of the best in the market, it is dogged by a few issues which a buyer should consider before committing themselves to buying it. 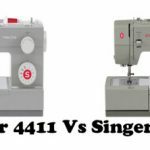 The Singer 2259 Tradition reverse sewing lever is in an awkward position, unlike the majority of sewing machines on the market where the reverse lever is usually on the right hand-side of the machine. In the case of the 2259, its just to the right of the thread guides, a bit different and can feel a little alien but you’ll get used to it. Unlike some of its competitors the bobbin cover on the 2259 is not transparent. The unfortunate thing about this is that you’ll never quiet know when you are about to run out of the thread, and that’s not something you want happening mid-way through a sewing a garment. The stitch length of the machine, is also another point to be aware. Though you can adjust the the length, it’s not as adjustable when compared to some other machines. Is the Singer 2259 worth it? This machine is exceptionally good if you are considering working on light or medium fabrics. It’s a great daily home machine even though it won’t handle thick fabrics such as denim in the best way. However, if you are an occasional sewer who wishes to mend clothes or do some decorating at the convenience of your home, then this is the machine to go for. A well-rounded machine that’s packed with all the basic features needed and that is budget-friendly for people who don’t want to spend hundreds of dollars.